The 120 db Elite SABRE home & commercial door alarm helps secure homes, apartments, offices, commercial space, garages and sheds at an affordable price. This DIY easy to set up alarm, provides practical and convenient exit and entry delays and is controlled by a 4-digit pin code of your choosing. Choose either the alarm or Chime mode. 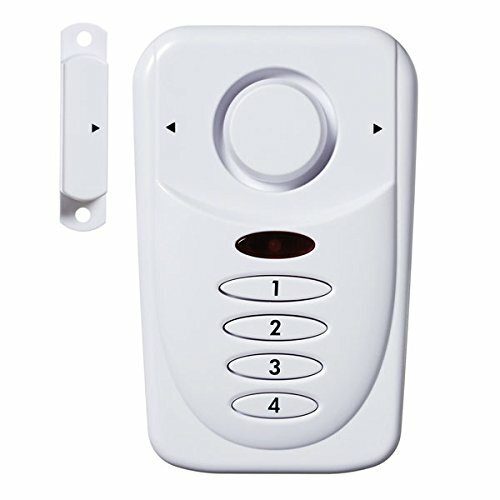 Once you enter the door and turn off the alarm, many choose to activate the Chime mode which alerts you when a person opens that door while you are present. This consumer preferred, aesthetically pleasing, premium while alarm requires 3Xaaa batteries and even has a low battery indicator.